The following websites have been at least a little bit helpful to me in learning Lao. SEAsite Laos has the most resources on one website that I've found so far. 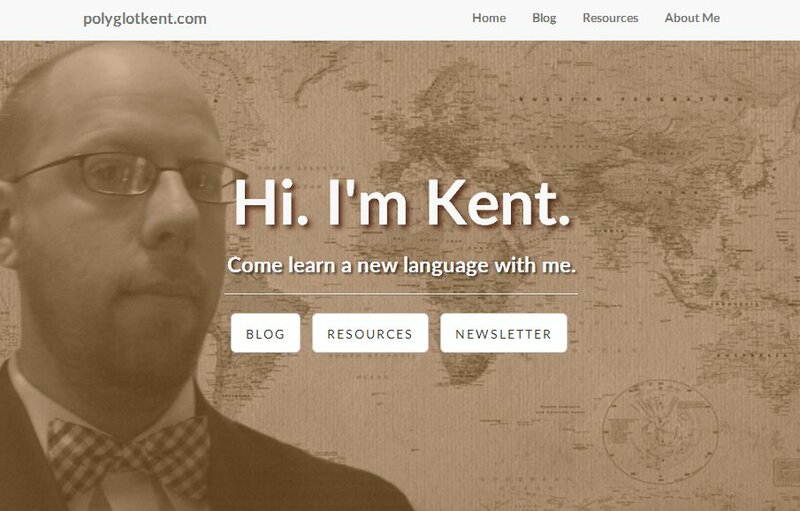 I found the grammer notes useful, as well as many of the other Lao language resources on this site. thailoa.net has information on the Lao language, including how to read and write Lao script and a good explanation of Lao tones. Branah has many virtual keyboards, including one for Lao. I tried about 3 different virtual keyboards for Lao, and they are essentially the same, but I liked this one slightly better than the others. Laos Guide 999 has a page of useful Lao phrases. There is a collection of free language courses by the Foreign Service Institute on several languages, including Lao. I've spent hours on their Reading Lao course, which has helped me immensely. You should be aware, however, that the material is a bit dated (from 1974) and not everything taught in the course is correct today. Here is just a sampling of what is available on YouTube. 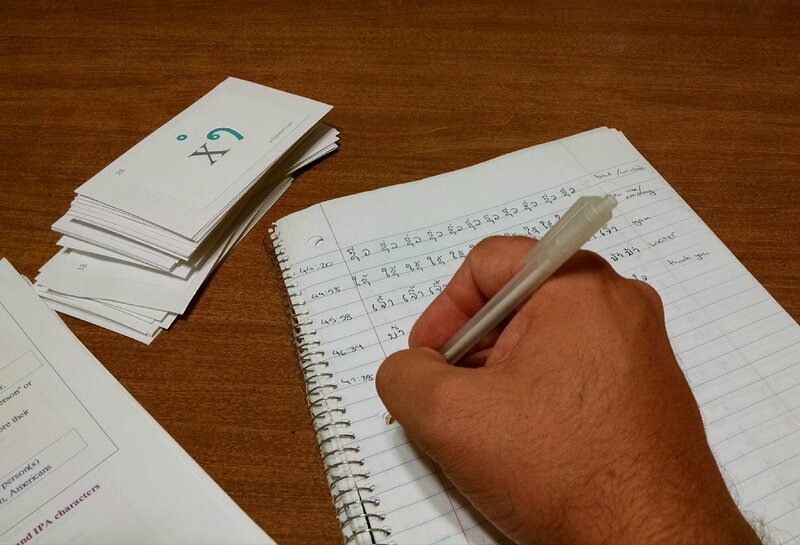 Thomas Kallas has two great videos to help you learn how to read and write in Lao. His first video goes over the Lao alphabet and his second video discusses Lao Tone Rules. The videos are a little long, and I had to use the pause button lots, but they are both full of good information. If you search for "lao movie" on YouTube you'll find several videos in Lao, and many of them have English subtitles. The one I watched several times is about wildlife conservation. 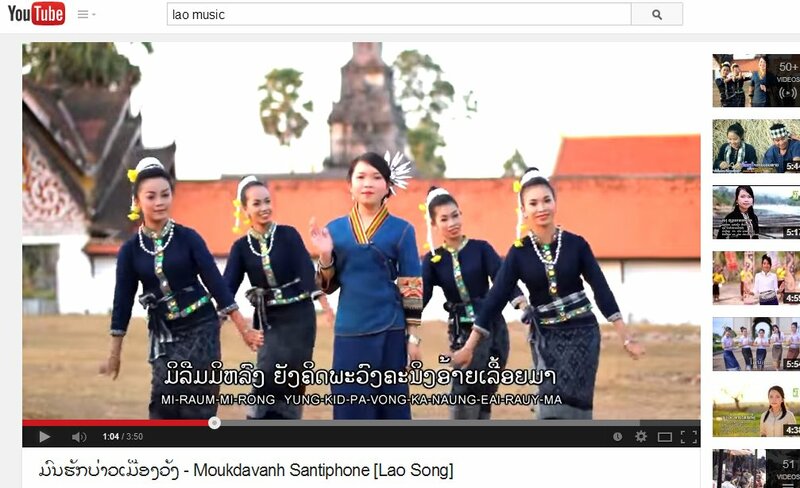 If you want to experience Lao music, there are several with Lao sub-titles. (Some have subtitles in both Lao script and Romanized Lao.) A few that I like are here and here and here. YouTube user Chip Banzai has uploaded several Lao Pop songs. Printable Lao Alphabet Flash Cards I didn't find any online, so I made my own. 8 Ways Indiana Jones Can Teach You to Speak Lao - Number 5 is My Favorite teaches you how to use mnemonics to memorize vocabulary from another language. I have 8 examples from the non-existent movie: Indiana Jones and the Nightclub of Doom.